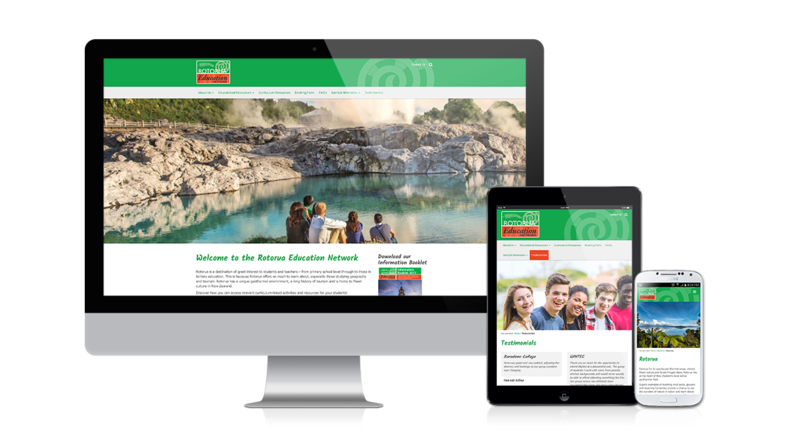 Adrian was the obvious choice when we decided to revamp and update the Rotorua Education Network website. He had a good understanding of our needs and the brief for the updated website was spot-on. We love the fresh, clean look as well as the simplicity thereof. He added some quirky extras and paid good attention to detail. Very easy to work with. I can recommend Adrian wholeheartedly. Outstanding service with a lovely personal touch. Looking forward to working with you again in the near future Adrian. 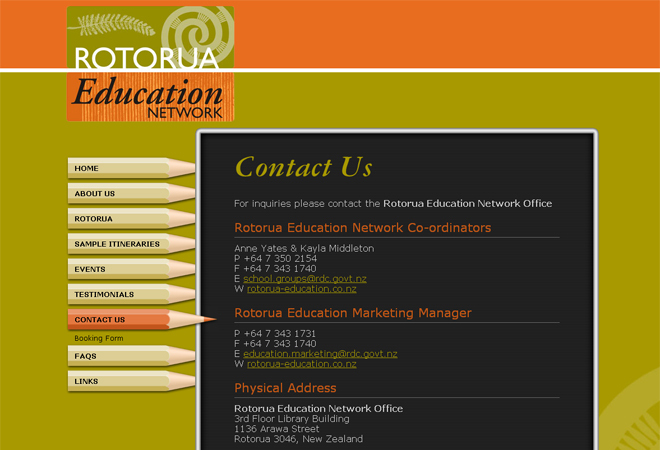 For many years the Rotorua Education Network (REN) website was part of the Official Rotorua tourism website, rotoruaNZ.com. In 2009 the REN committee decided that they wanted to create their own unique and eye-catching website to better promote their services. 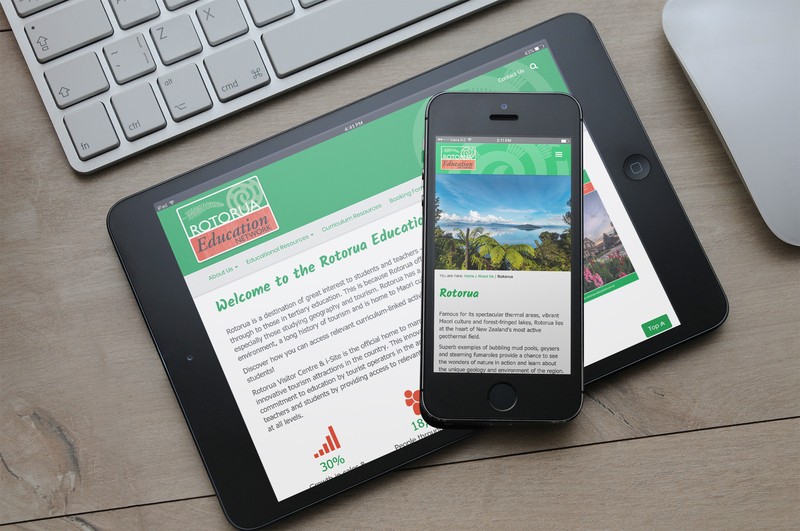 After winning the tender to design a website for the Rotorua Education Network we set about designing something that tied their current branding and colour palette into an ‘education’ theme. Design elements that we thought about using were coloured pencils and blackboards for the ‘look and feel’ which the committee loved, so we developed that further. After pitching the power and flexibility of powering the site with the worlds best content management system, WordPress, the committee were sold as they wanted to allow multiple editors to have access to login from anywhere to securely and remotely update and edit the content at any time. If you like the idea of having a powerful and flexible website solution for your project, contact us today.